You may not think there's a lot that is "hip" at a frozen food manufacturer and distributor, but you'd be sorely mistaken. The "selfie" craze has hit Kahiki in a big way and we've decided to make the month of May "Safety Selfie Month!" 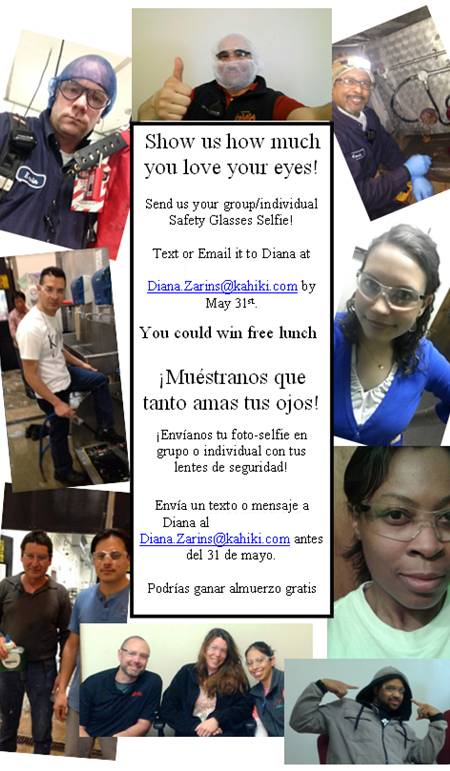 Our employees can take a selfie while wearing safety glasses and submit for a chance to win a free lunch. It only takes a few seconds to snap a selfie and it only take a few seconds to be safe on the job.